Pour 1 c lentils into 2 1/2 c cold water & bring to a simmer & cover, place into preheated 325 degree oven for 40 min until done. In seasoned black iron skillet, place 2 Tbsp of olive oil or ghee and heat until smoke point while oil is heating, sprinkle flesh side of fish with salt then, when oil is fully heated, place it flesh side down into pan and turn off heat. When putting the fish in, check on the zucchini and pull it if its ready. If not, pull it when you take out the fish. To plate, remove lid from lentils, add fresh herbs and season to taste with salt. Place lentils in center of the plate. Place zucchini around lentils. 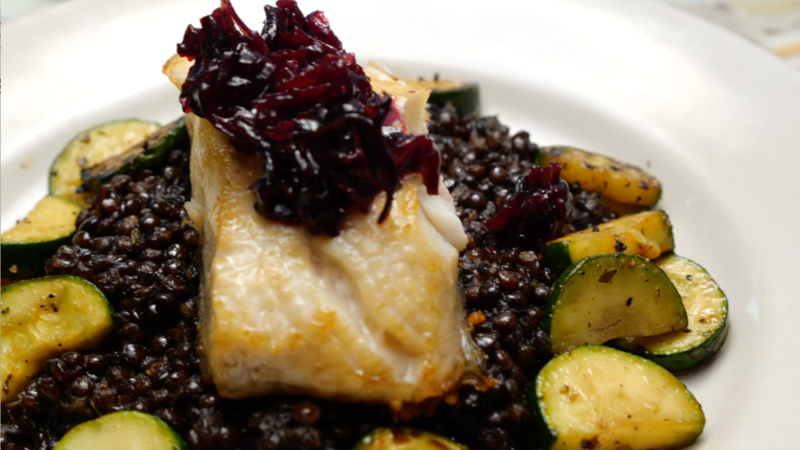 Place cod, skin side down, on top of the lentils and garnish with roselle relish. Take Pennsylvania chicken out of package, remove neck and giblets, and wash under warm water. These organic chickens free roam on pasture and the flavor is amazing. While the chicken is resting, dice apples and onions, stem and rough chop herbs and mix all together. Prep fingerling potatoes by washing them, tossing in Extra virgin olive oil or fat of your choice and a sprinkling of salt and fresh cracked pepper. When the chicken has rested long enough, rinse it thoroughly, including under the neck flap to remove salt. Prep kale by stemming, chopping into bite sized pieces and tossing with about 3 Tbsp olive oil, coating all sides. Spread out onto baking sheet and dust with salt. When chicken has been in oven for 35 minutes, increase temperature to 350 degrees and add fingerling potatoes into the oven. Set timer for 20 minutes. Move chicken onto serving dish and use some of the hot cider stock to deglaze the pan, pouring those drippings back into the sauce. Strain the sauce and place back onto stove, increasing heat to high. Make an arrow root slurry by mixing 1 Tbsp of cold water with 1 tsp of arrow root. 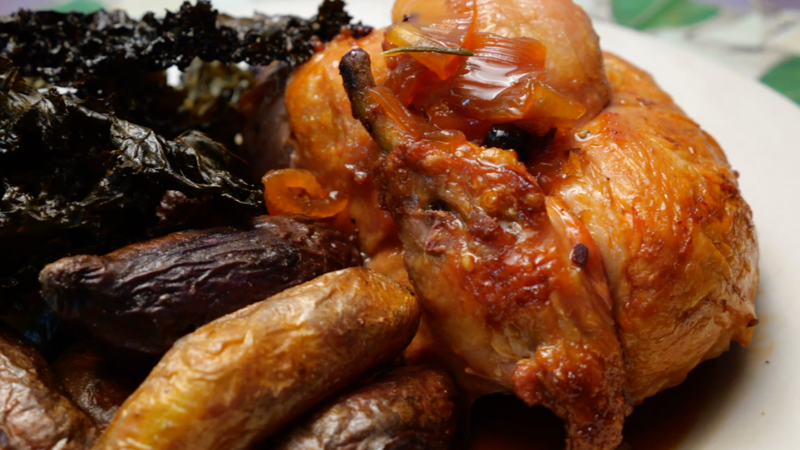 Serve family style by placing potatoes and toasted kale on serving platter with chicken and serving sauce on the side, or serve restaurant style by cutting bird in half using large butcher knife or cleaver. place 1/2 bird skin side up on plate, add potatoes and kale and drizzle with sauce. I prefer to use this brand of dried mushroom, because it’s always a superior product. Often times will bind both mushrooms especially in the dried state you will receive the good the bad and the ugly. What I mean by this is there will be well formed mushrooms, bits and pieces of mushrooms, and this motion dust collects on the bottom. Tera Dolce will sell chaf, but they advertise it as chief, it still taste better than most of their competitors. So when reconstituting mushrooms, or even seaweed you need to think about the fact that it will taste like whatever liquid you reconstituted in. 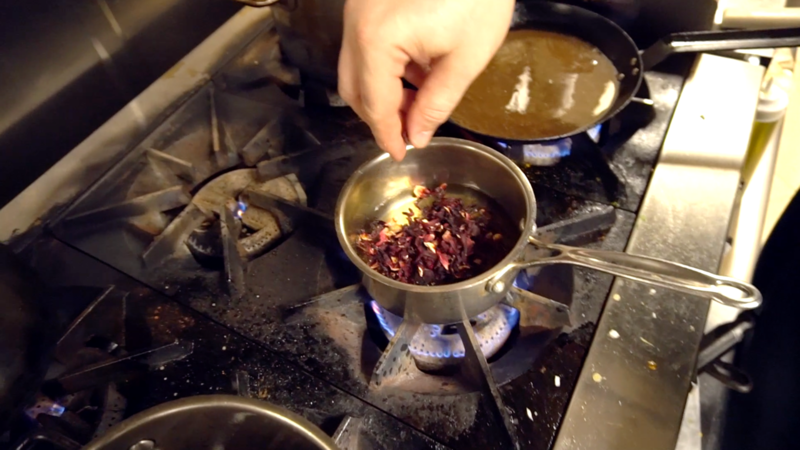 Conservation flavor and taste is key in making exceptional dishes. So I would ask the cook why would you want to head water because water is basically tasteless. In the past I have used several different methods and reconstituting these ingredients. 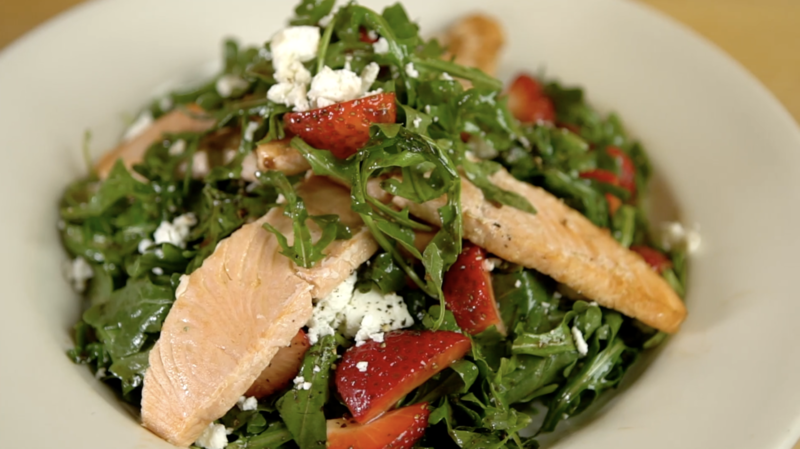 In some of my salads I may use rosewater or orange blossom water. In other applications I would reserve all of my herb scraps and make a simple herb stock. 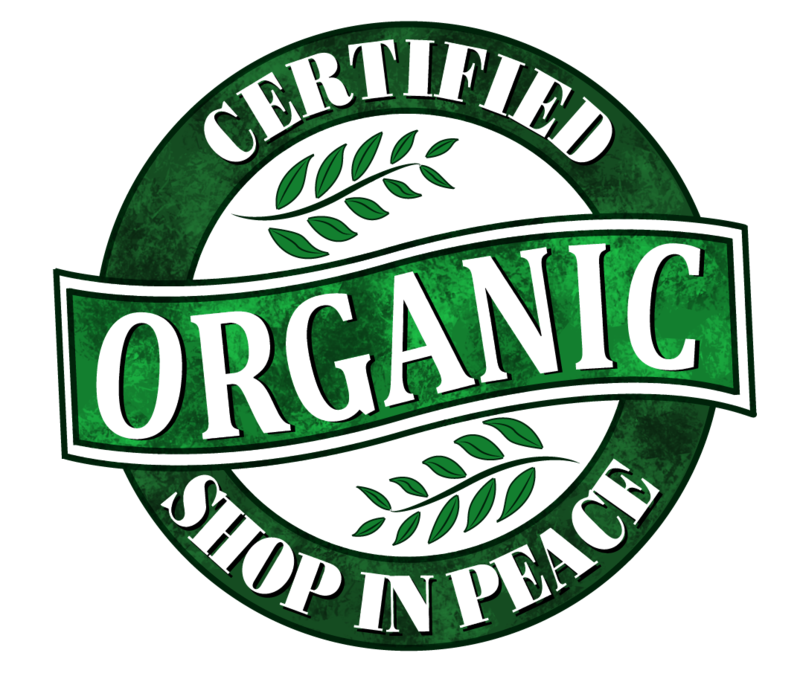 As verbs or aromatics you cannot use a protracted cooking process to make the stock just to think of it more like a tea. This means that it should take you about three minutes to make the stock, and remember to season. 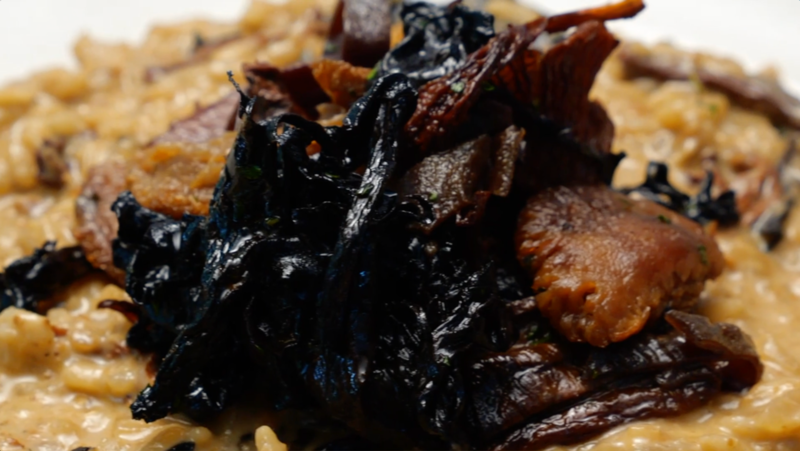 One of my greatest pet peeves is when a chef decides to call a mushroom risotto wild mushroom risotto. Don’t get me wrong I love good mushroom risotto, don’t try to sell me button mushrooms and its cousins the cremini and portobello as a wild mushroom. When making risotto, there are a few options that you can use as far as rice. The best rice, as far as I am concerned, is carnaroli. I believe it is superior to its cousin arborio because it is higher in amylose and it is a longer grain. The higher amylose makes for more creamy rice; to the point where you can make a vegan risotto that is creamy and has the close to the same as rice with cream. The longer grain provides a nicer mouth feel. Concerning the stirring of rice, I’m fairly convinced that at some point a journalist from Gourmet food magazine or some other American publication ventured into Italy to learn this dish, risotto. As most new people in the kitchen, they become roadblocks and hindrances rather than helpful assets. I can almost assure you that the Italian chef in this kitchen pointed to the risotto pot and said something to the effect of, make sure you stay there and stir that pot until it’s done. The truth of the matter is risotto does not need to be stirred continuously. Concerning oils and fats, during my tenure in Spain, I was educated by one of the locals concerning their classic dish paella. They made the point that in the times of olde, calories were in short supply. So the peasant was continually looking to increase their calorie intake. It's done through the consumption of olive oil. They were not kidding! There was olive oil in everything. To the point that there were even desserts that were made with the stuff. There was so much olive oil in the diet that I got sick and lost a ton of weight. The chef I was working with at the time had to send out a courier to get me butter. Let that sink in. I needed someone to bring me emergency butter. Butter saved my life. It didn’t save my life, but the chef knew that I need fat in my diet and if it was not going to be olive oil it was going to be butter. But this same principle applies to making the risotto. 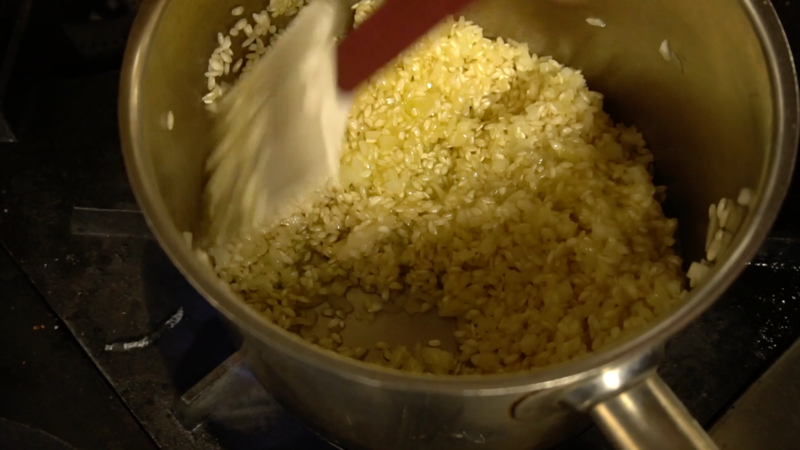 The addition of a liberal amount of oil allows for the risotto rice to heat evenly and increase the surface temperature so you can crack the surface of the rice in order to release the starches. You are going to use more oil than you think that you will need. The oil serves the important function of heating the rice. You probably could have figured that out. However, more specifically it heats it evenly and will aid in the release of the amylose that will create smooth and creamy rice. NO COLOR! NO COLOR! In the kitchen, there is an acronym GBD gold brown and delicious. You have French fries GBD; you have toast GBD, tater tots GBD. Do you see the pattern? GBD refers to the caramelization of starches. When you’re making risotto you want to stay away from caramelization. This will also include not browning the onions when the onions are added. There are certain kinds of rice that I would caramelize the onions, but in general, it adds a muddy flavor to risotto. Moreover, for some reason having a creamy muddy dish put in front of me does not appeal to me. Many people have a severe misunderstanding of the word garnish. Often times you hear the word garnishes think of sliced orange which is partially and in this day and age those flowers. The classical definition of the garnish truly defined the food. So you had a lobster bisque first off the disc itself had very little cream in it. Traditional lobster bisque would have been made with rice made with lobster stock. This would have been puréed into a Portage which is a French word for thick soup. The lobster meat would’ve been added at the end as to not overcook it. This was the “garnish” of the lesser best. Sometimes herbs would have been added to some dishes but everything added to the dish headed to the dish not just visually. So with this garnish were basically adding the texture which is crunchy as well as aromatics from the herbs. So going to take some of the silk mushrooms preferably have the black trumpet and half of the central. Toss the rehydrated mushrooms with a liberal amount of olive oil some salt and some fresh herbs preferably time and sage. Place in a sheet tray and roast at 350° for 15 to 20 minutes. remove from oven and let cool. 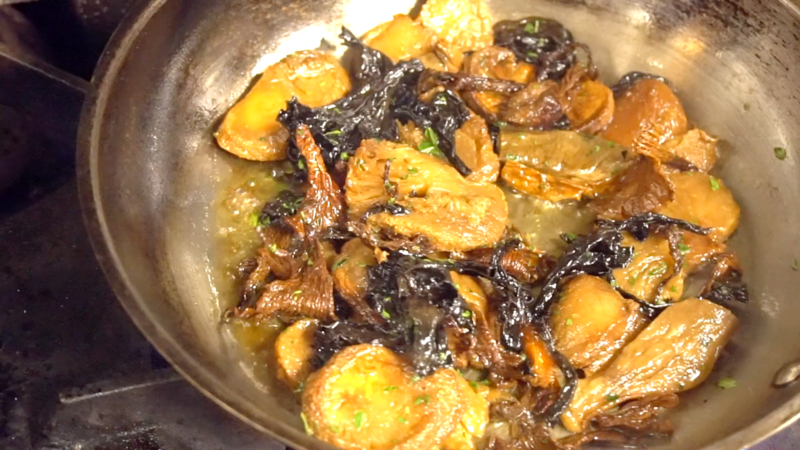 Reserve these mushrooms for service. These mushrooms hold for about three days at room temperature and make an excellent snack. In the kitchen I have to fight people off with a stick. 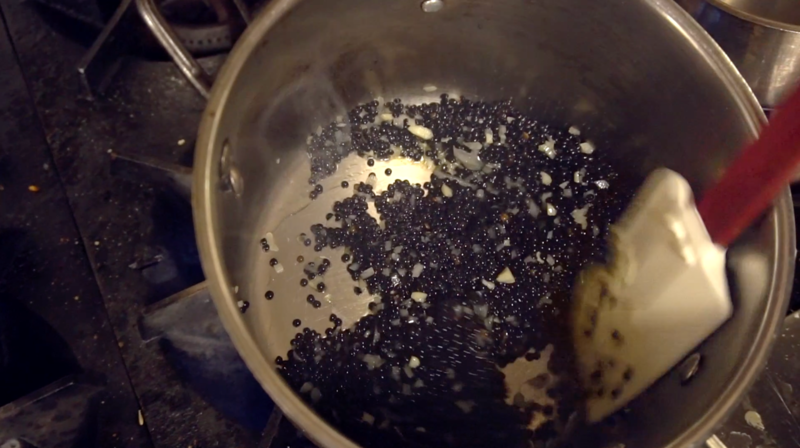 In a cold saucepan or rondeau place, olive oil and rice turn on heat to med-high. Stir to thoroughly coat the rice with the olive oil. Let heat and stir intermittently, so that the rice will heat evenly. Once the rice is starting to get hot add your onions. Okay, what is hot? Would you touch it? Yes = not hot. Hell no! = hot. This is the best way that I can explain this culinary principle. So once the rice is starting to get hot add the small diced onions. Stir to incorporate the onions. NO COLOR! By now it should sound like light rain and have the smell of light sulfur. At the first sign of any caramelizing add the first dosage. You want this dosage to be cold, you want the sizzle and cracking. This helps to fracture the rice grains and release the amylose. This first dosage should cover the rice by about half an inch. At this point you want to give up a few stirs with the spoon. At this point you want to reduce the to a fast simmer. When Rice boils as well as other grains and legumes creates different zones in the cooking pot that are higher and cooler temperatures. This causes whatever it is that your cooking to cook unevenly. So as the liquid lowers to the point of the rice being exposed you’d want to add your second dosage. Again give it a few stairs to incorporate the liquid into the rice and again the liquid should be about 1/2 an inch above the level of the rice. At this point we want to stir and make sure that it’s not sticking to the bottom. If it is sticking to the bottom do not panic. Turn the heat off and let the rice sit for about two minutes at this point the rice will release from the bottom of the pot and you can continue the cooking process. Once the race becomes exposed again you are ready to do one of two things. The first is if you are in a restaurant situation or you are entertaining at home you can stop the cooking process at this point the finish later when you’re ready to serve. I typically do this by putting it in a hotel pan. The home cook this will be a brownie tin or a 9 x 13 casserole dish. Place this in the refrigerator to arrest the cooking process. Otherwise continue by adding the third dosage of liquid and again staring fully incorporate the liquid into the rice. At this point season to taste. It’s very important whenever you make a dish like risotto not over season because you’re continually cooking away your liquid. Often times the commercial kitchen you have somebody making soup in the season it before has a chance to cook down to its appropriate viscosity or concentration flavor. This compounds the amount of salt that’s in the dish. This is happened to me, once. Rinse 1 lb. fingerling potatoes and sprinkle with sea salt to taste. Pick 3 5-6 inch sprigs of fresh rosemary. Remove leaves and mince with a very sharp knife. A dull knife will crush the rosemary and make it bitter. Choose a pork loin, about one and one half pounds. Tie with 1 knot every 2 inches. Mix minced rosemary with one quarter cup of sea salt and liberally season entire surface of pork loin, making sure to get the ends. Turn oven down to 325 degrees, pull out the potatoes if they are still in and are finished cooking and set aside to cool. 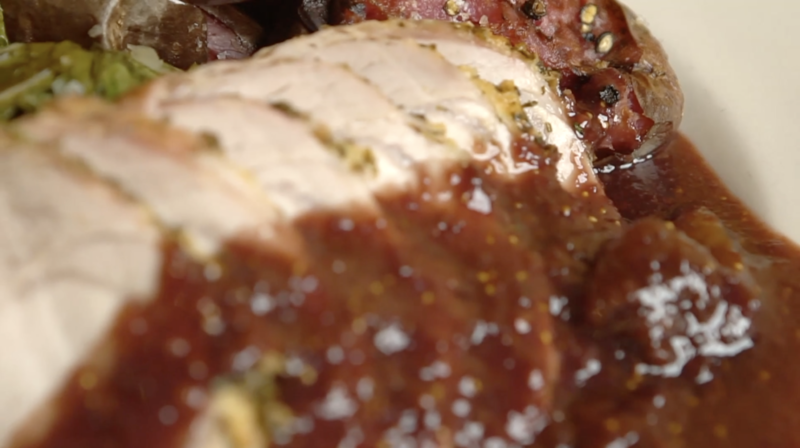 Place pork loin into 325 degree oven and bake for 25-30 minutes until internal temperature reads 155 degrees. Add chopped dandelion and cider vinegar and toss to wilt. Pinch each fingerling potato until it pops. drizzle potatoes with melted whole butter. 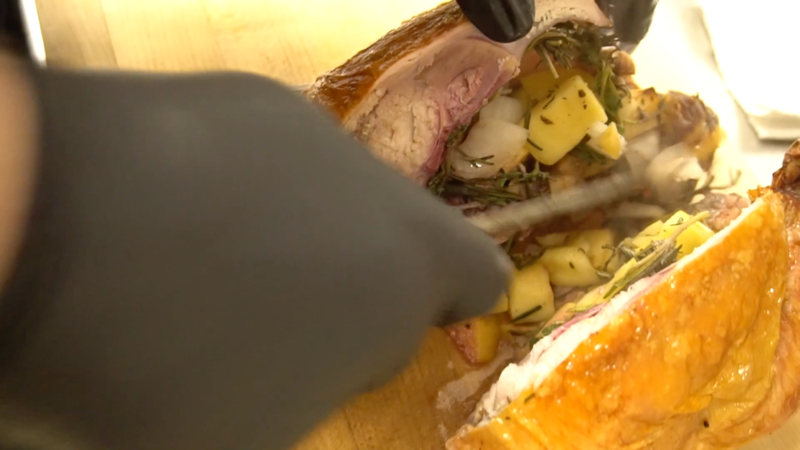 Remove strings from pork roast. Put potatoes and dandelion down on plate. 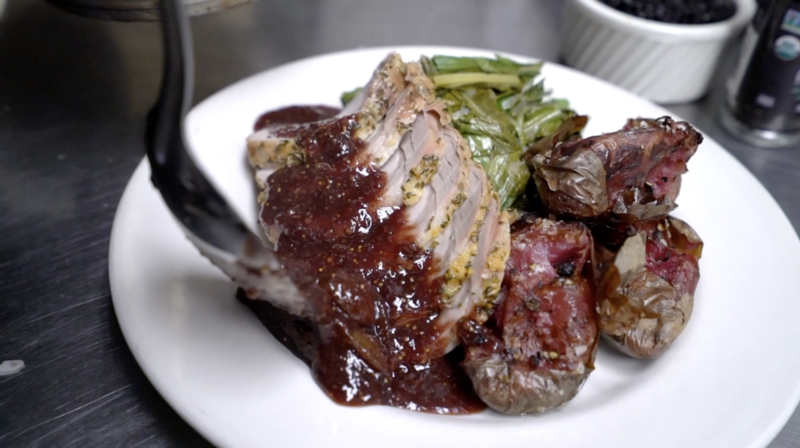 Slice pork into quarter inch thick medallions and place onto plate. 1 c Food & Thought farm fresh organic strawberries, hulled and quartered. Season salmon lightly with sea salt and place into heated skillet. Remove to paper towels to drain and rest while salad is prepared. 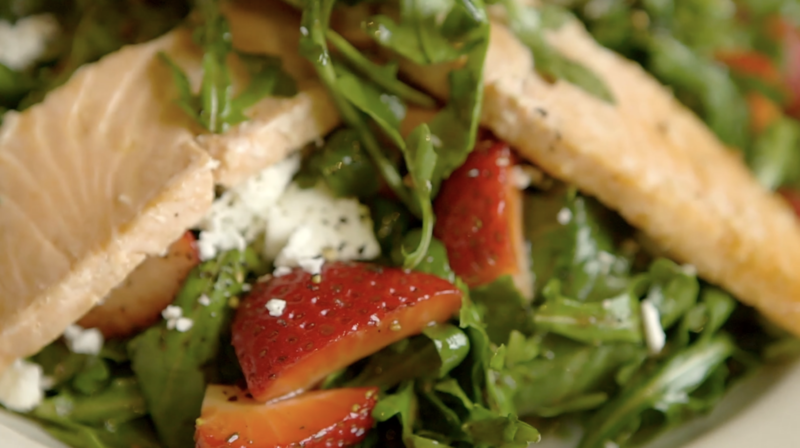 Garnish with crumbled goat cheese and season to taste with freshly-cracked pepper.